Bruce Lee Fights were Vicious Martial Art Battles! Bruce Lee fights have been covered over the years, but not to the point where people don’t ask me if Bruce Lee could really ‘Kung Fu Fight.’ Obviously, these guys weren’t martial artists, so I was gentle with them. Bruce had two distinct martial arts. There were the Bruce Lee fights from the movies, which you saw on the screen and on Kung Fu videos, and which made him look like the baddest cat around. Then he had his real martial art, Jeet Kune Do, the one he used to actually BE the baddest cat around. Bruce would fight at the drop of a hat! Everybody knows about his movie martial art, but only JKD students, or very wise researchers, know of his real fighting ability. In 1958 the Little Dragon fought in the Honk Kong boxing championships. He knocked out Gary Elmes in three rounds using some rather vicious Wing Chun Kung Fu trapping maneuvers. In 1959, now a member of the ‘Tigers of Junction Street,’ Bruce was to battle in one of the infamous ‘rooftop’ matches Hong Kung was famous for. He was sucker punched, and became so angry he broke his attacker’s arm. In 1962 Bruce fought a Karate black belt in Seattle. The contest lasted all of eleven seconds. Bruce struck the Black Belt some 15 times, kicked him, and rendered him unconscious. Period. The Bruce Lee fight that was the most famous and controversial was in 1964-the legendary fight with Wong Jack Man in San Francisco. There is a tremendous amount of controversy surrounding this fight, and, because of differing eye witness accounts, there is confusion to this day as to who the winner was. People from Mr. Lee’s camp state the fight lasted three minutes, and Bruce won. People from Wong Jack Man’s camp state that the fight lasted 25 minutes, and that Wong Jack Man won. While there is controversy around this Bruce Lee Fight, it should be pointed out that Bruce changed his training methods after the fight, and formulated his final version of Jeet Kune Do. Win or lose, Bruce was one to learn from his fights. 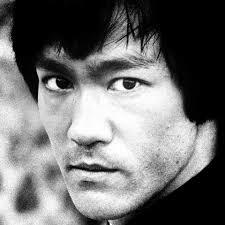 There are also accounts of Bruce acccepting a challenge on the set of Enter the Dragon. He is reported to have handled all the other fellow’s attacks, then taking him down easily. And, of all the Bruce Lee Fights, the most humorous was when a fellow invaded Bruce’s home in Hong Kong stated that he wanted to ‘fight Bruce Lee.’ Bruce states that he had never kicked a fellow harder. Without corroborating accounts, it can still be surmised that the fight lasted the time it takes to do one kick. So, two arts, many fights, and a legend lives up to his name…these are the Bruce Lee fights I tell people about when they are naive enough to ask whether Bruce Lee could fight. This has been an article about Bruce Lee fights. What was the original name(s) in chinese for the rooftop matches?